Elkagorasa the Casual: Shared Topic: What am I doing to prepare for Cataclysm? 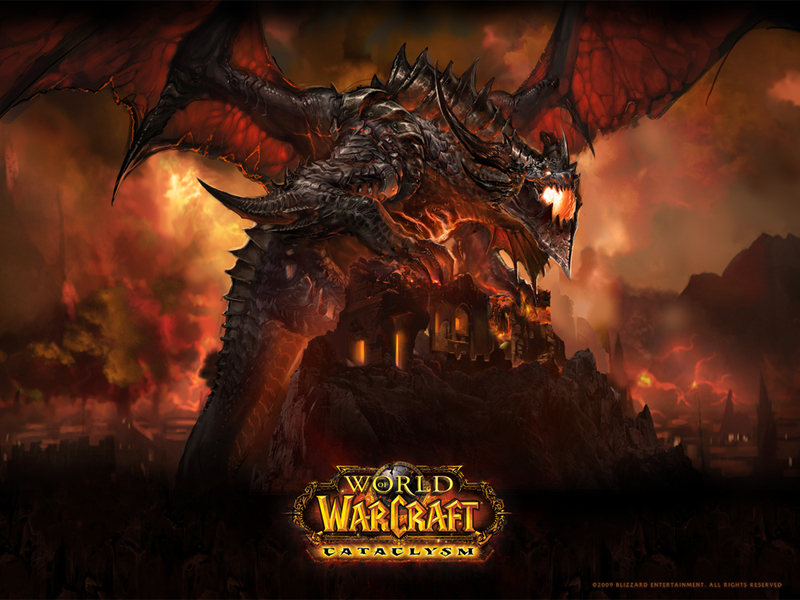 Shared Topic: What am I doing to prepare for Cataclysm? Coming soon to Azeroth near you, the world is going to dramatically change. Terrain changes, class changes, even opening up new locations and progression. How can one prepare for this? How am I preparing for this? Quests / Zone changes- The most pressing issue I have at the moment is trying to capture quests and zones that I missed while leveling my main. I would absolutely love to get the Loremaster title before Cataclysm drops, but I am not pressing it hard. I have turned off my Find Herbs, and running with Find Low Level quests, when I fly taxis through Classic. I found I have about 6 incomplete quests in Kargath when I ran up to Gnomeregan. As a side note, the week before Cataclysm, stop posting items on the AH. The day before Cataclysm drops, empty all my mailboxes! Can you reach Exalted with Booty Bay? Stockpile? - With 2 new entry-level classes coming, am I going to stockpile entry level materials? Probably not. I've read some of the changes coming Cataclysm for the profession changes and I don't think we'll be prepared for what Blizzard is planning. If I have bag space, I am not going to throw out my current herbs, or gems. There will be some need. (BC Gems still sell fairly well and most don't have a cooldown). I will more take advantage of my herbalism and alchemy skills to level up a bunch of Cat recipes and sell those off to uninspired individuals for a nice profit. Reading ahead - Like reading reviews to an upcoming summer Blockbuster, I am reading all I can about the game coming out later this year. I am curious as to what changes Warlocks will see. I am excited about the new areas to explore. 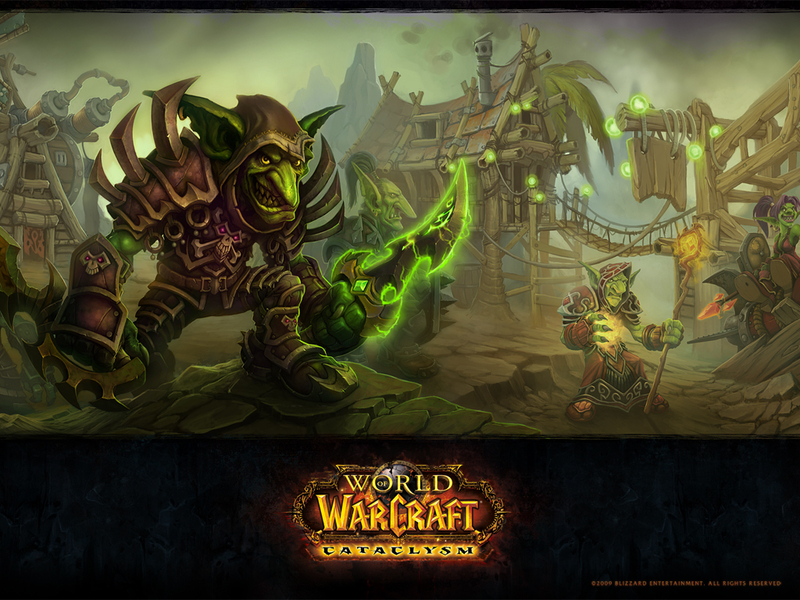 I am eager to start leveling a short horde class (goblin). For one, I think for a few months, goblins will rule PVP as many alliance will see gnome or dwarf when they see a short guy coming their way.. Goblin shaman - would s/he be as big as the totems? (note I may do a female so that I can have one with pink pigtails and offend a guildie, 'cuz he dislikes gnomes for that very reason). Add-ons - Final thing to work on is to thin down my add-ons. Checking my current install folder, there is approximately 120 different folders which constitute roughly 75 different add-ons. About a week or two before Amazon ships Cataclysm to me, I am going to start checking on my various addons and see which are going to be 4.0 functional. Uninstall or remove those that won't be ready. With so many dramatic changes in the interface coming, I don't want to be out of the water because add-on conflicts. 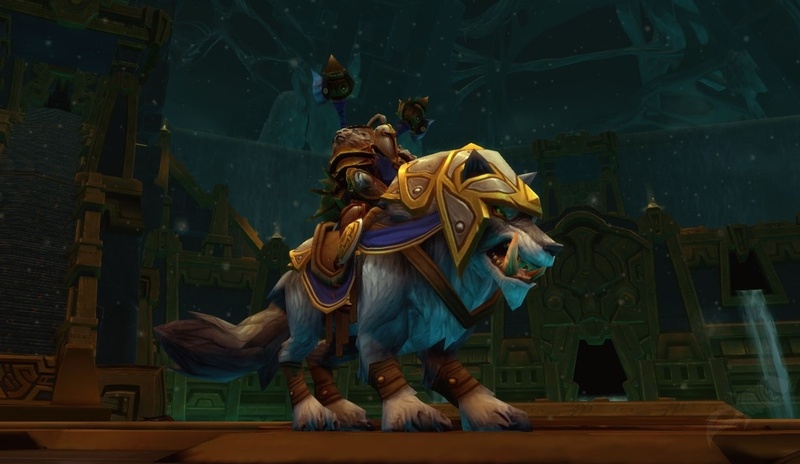 As Cataclysm approaches and more changes are released, plans may change. For the most part, I do most these steps for each major patch. I've lost items that sat in my mailbox then had 75 mail posts unread that required 3 clicks to open after restored. Now that I am running tools like WowMatrix, my addons are typically up to date.